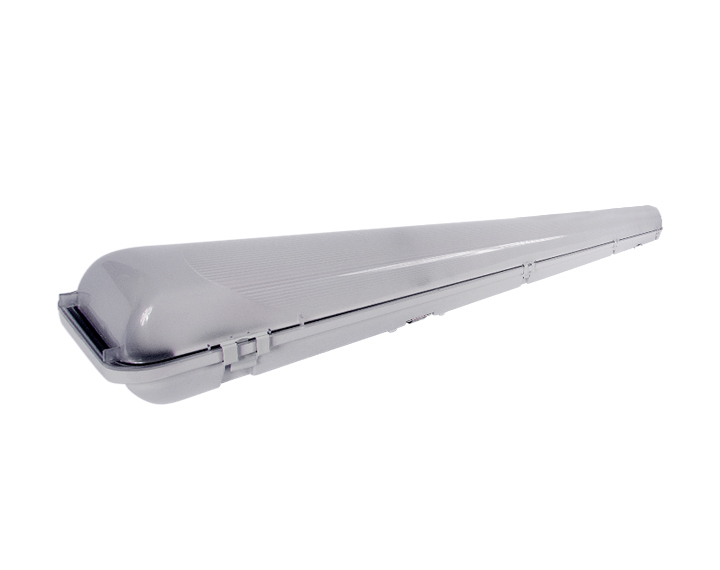 A surface-mounted, waterproof lighting fixture suitable for industrial applications. It has a wide beam angle of 130 degrees. Clips can be spaced at any position along the entire length of the luminaire for custom mounting options. Suitable for use in damp or dusty conditions thanks to the extra protection factor. Low-maintenance luminaire that is easy to clean and offers few surfaces on which dirt can settle. High energy-saving potential, even for extensively used lighting needs in spaces such as logistic and industrial, warehouses. Housing made of curved-lines polycarbonate and equipped with high quality polyurethane gasket for high durability. With an IP65 protection factor. 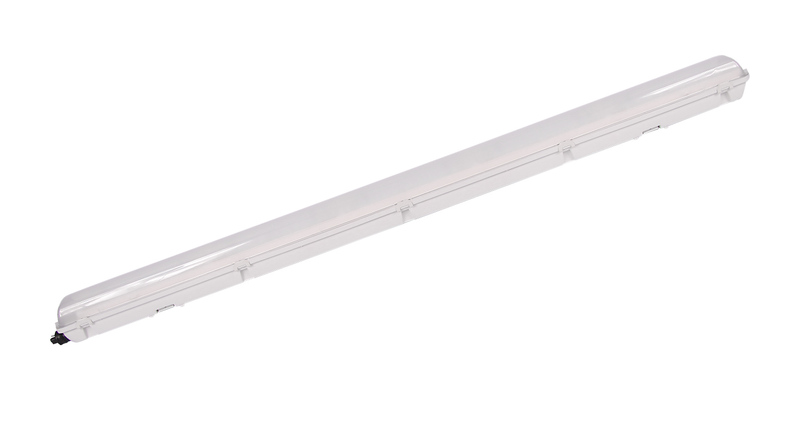 LED luminaires built for efficiency and durability.